Horse lovers are insatiable in their quest to learn more about their favourite animals, and it's no wonder: Horses are powerful, graceful, communicative, beautiful, and fascinating. Knowing Horses captures all the mystery and magic of horses, for both devoted equestrians and non-riders, answering such questions as: What flavours do horses like best? Are all Appaloosas spotted? How do you read a horse's body language? What's the difference between neighing and nickering? Who was the fastest Thoroughbred racehorse ever? What's the difference between trotting and pacing? How are movie horses trained to fall while galloping? Presented in a friendly Q&A format, the book is as informative as it is entertaining. 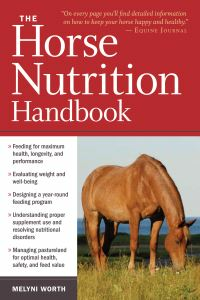 It addresses temperament, abilities, physiology, diet, behaviour, and the deep, long-standing relationship between horses and humans. 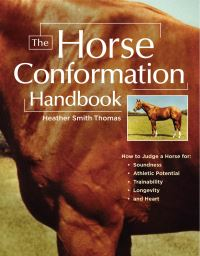 It explores the mind of the horse and demystifies the animal's quirks and idiosyncrasies. Like the animal it celebrates, Knowing Horses is sure to capture the hearts and imaginations of horse lovers everywhere. 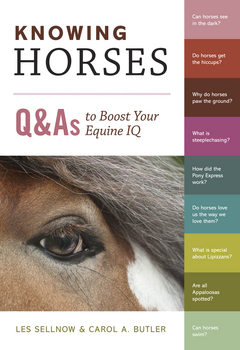 This book is at once easy to browse and packed with facts and a perfect gift for horse enthusiasts, as well as a captivating resource for the classroom or riding centre.